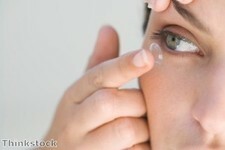 Wearing contact lenses to improve vision can help to change people"s lives for the better, according to one industry expert. Dr Joe Barr, vice president of global clinical and medical affairs and professional services at Bausch + Lomb, said the fact that there are so many people across the planet with poor vision means that millions could benefit from better eyecare. He explained that his company is helping to educate consumers and the industry about meeting the needs of people who need vision correction and improving their lives. "Being the only company solely dedicated to eye health, Bausch + Lomb is uniquely positioned to meet those critical opportunities through its innovations, increasing access to its patients and professionals globally for years to come." Recently, Jerry Warner, vice-president of marketing and general manager at Bausch + Lomb Global Contact Lens, recently said that new KeraSoft contact lenses can change people"s lives by significantly improving their vision.